A tinted formula, perfect for first-time tanners allowing a super simple, streak-free application. 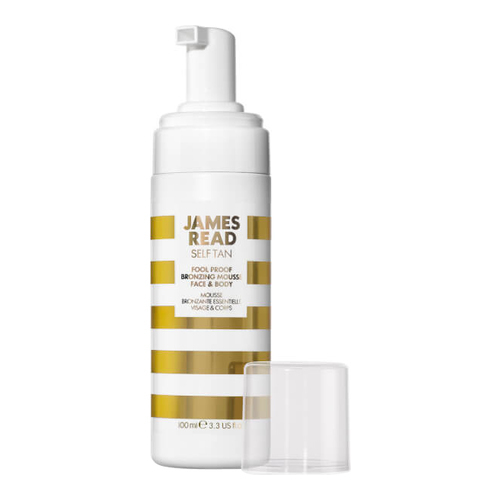 Fool Proof Bronzing Mousse by James Read Tan is just what you need to flaunt a flawless and golden tan. Suitable for first-time tanners, this streak-free formula gradually adds some nice color to your skin within 6-8 hours. Crafted with 72hr Hydration Technology and Tantone Technology, this fast-drying mousse reveals an even and natural looking tan for as long as 7 days. Tinted mousse, perfect for first-time tanners allowing a super-simple, streak-free application. Develops a luxe bronze tan in 6 - 8 hours. Exfoliate thoroughly prior to application. 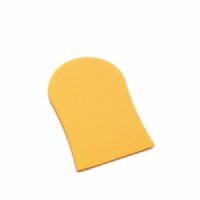 Starting at the ankles and working your way up apply to the body in circular motions using a tanning mitt, working in sections. Ensure the tan has been applied all over using the product's sheen as a guide. Leave feet and hands until last using what remains on the mitt. Avoid contact with water for 8 hours. To prolong and mantain your tan, moisturize daily, exfoliate regularly and reapply as desired.